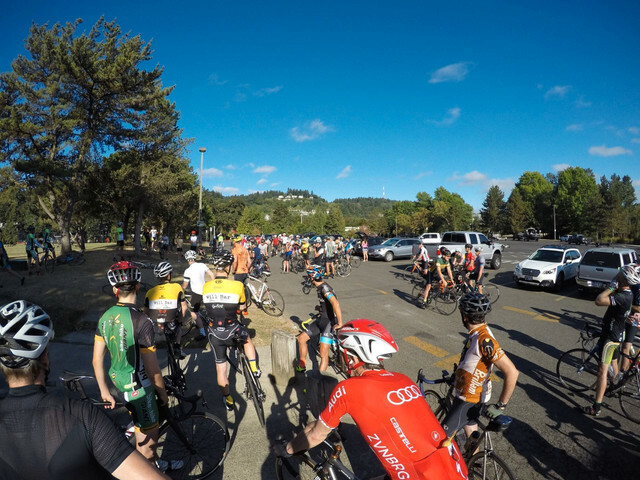 Giro di Sud Portlandia - 8/24/19 @ 9AM Please RSVP on the [RWGPS Event Page](https://ridewithgps.com/events/24101-giro-pdx-le-foglie-morte-di-sud-portlandia) to unlock premium features like offline maps, voice guided navigation and inclusion on event leader boards. *Please forward the invite to anyone who might be interested:* [Facebook Event Page](https://www.facebook.com/events/202810273898275) The Giro PDX will be enjoyed as a group ride every year in late August. See above for links to the annual event pages. The route is open for anyone to ride on their own, year-round. I have intentionally plotted this to have similar stats to the Ronde PDX and La Doyenne - [www.rondepdx.com](http://www.rondepdx.com) Open to anyone masochistic enough to ride it. Route Description - Hard. Beautiful. Varied. Eye opening. Classic. 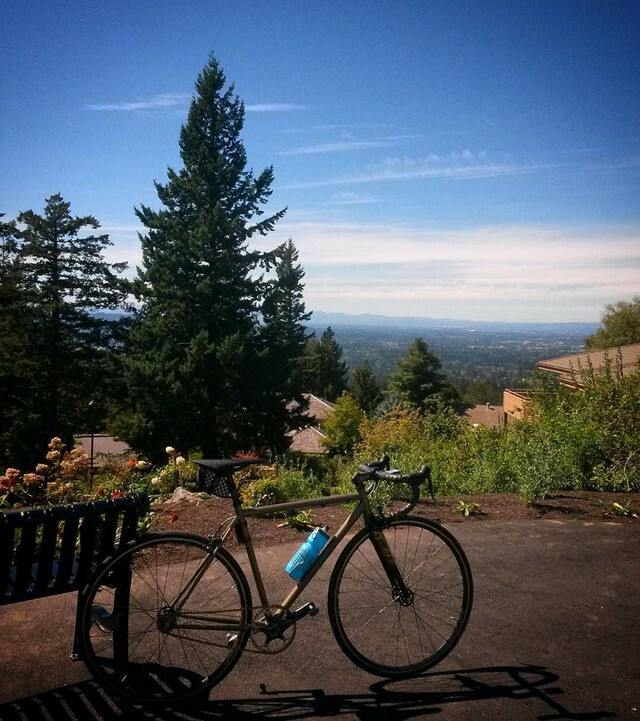 You will ride through SW Portland, Lake Oswego, West Linn, and Stafford Triangle. You will conquer beautiful and challenging climbs and likely wonder "How did I not know this exists so close to home?!" You will see many jaw dropping homes new and old. In between the mansions you will ride past horses, cows and vineyards. You will discover intersting nooks and crannies of the area. It is mostly paved. However there are three sections of single track in WL and LO city parks that allow bikes. 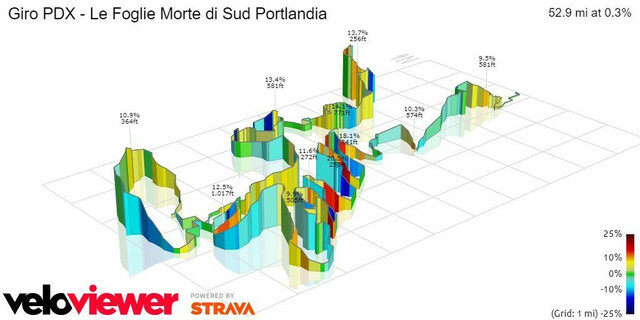 **Inspiration** - [Giro di Lombardia - La Classica Delle Foglie Morte](https://en.wikipedia.org/wiki/Giro_di_Lombardia). The Race of the Falling Leaves - A climber’s race that also circumnavigates a lake. 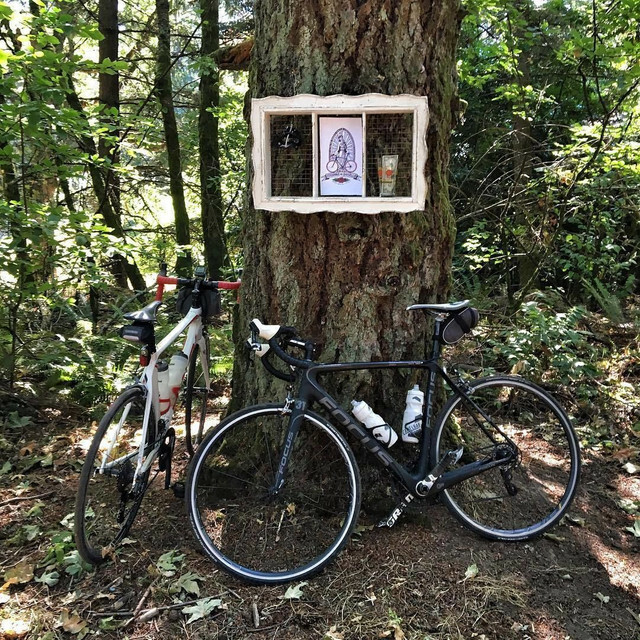 Be sure to visit the shrine to the Madonna del Ghisallo atop Cook’s Butte on the day of the group ride. **Bike and Tire recommendations** - Bring your road bike with climbing gears. 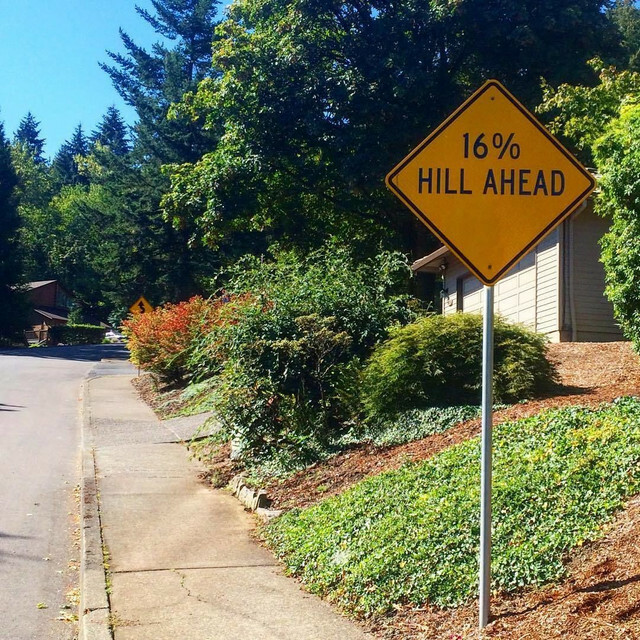 There are very steep sections. I have ridden all of it on a race bike with 23mm slick road tires, though 25's or 28's will be better and give more confidence in the dirt. Trails have almost no roots and rock. It is mostly nice buff trail. There are a couple roots on the exit of Cook's Butte Park that make for a little technical riding. You can do it. Using CX or treaded tires will be a benefit 1% of the route and a detriment 99%. **Route markings** - Every year by the day of the annual event, the course will be well marked with bright green arrows, some of which will be accompanied with a green lion. The gravel and dirt sections in the parks will only be temporarily marked on the day of the event. Please export the route from [here](https://ridewithgps.com/routes/15196769?no_redir=1) onto your GPS or navigate using the Ride With GPS smartphone app. **Support and liability** - This is an unsupported, unsanctioned ride. You are on your own. There will be some aid stations on the day of the group ride. See annual event pages for detail. I am not liable or responsible for your actions or inactions, decisions or indecisions. Ride fast if you want (except through the cemetery). But ride smart and obey laws. @point[Start Location](d,0) - 333 SW Dakota St, Portland, OR 97239 - Sunstone Montessori is in the John's Landing neighborhood along the west side of the Willamette River. It's between the Tillikum Crossing and Sellwood Bridge. It's only three miles south of the west end of the Hawthorne Bridge. (Hint - bike to the start if you can) There are no restrooms. There is plenty of parking along Carolina, Dakota and Virginia if you must drive to the start. 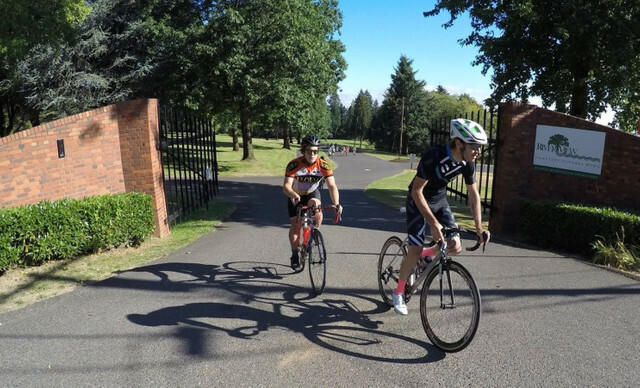 **First Climb protocol** - The first climb is through Riverview Cemetery. This is a NEUTRAL climb. If you want to ride this course at race pace, please do so only after you EXIT the cemetery. This is an area that is very sensitive to cycling. It is PRIVATE property that conditionally allows cycling. Permission has been specifically granted for the Giro PDX under the conditions that participants are respectful while on site. This includes riding slowly and keeping QUIET; especially if you are passing by anyone paying respects to the departed. @point[End Location](d,86977.72) - The finale of the ride is also the zenith and one of the coolest vistas in Portland you've probably never been to. If you need to drive to "start at the finish", you can probably find on-street parking in the neighborhood. But it would be nice to minimize. There is lots of parking nearby at PCC Sylvania. 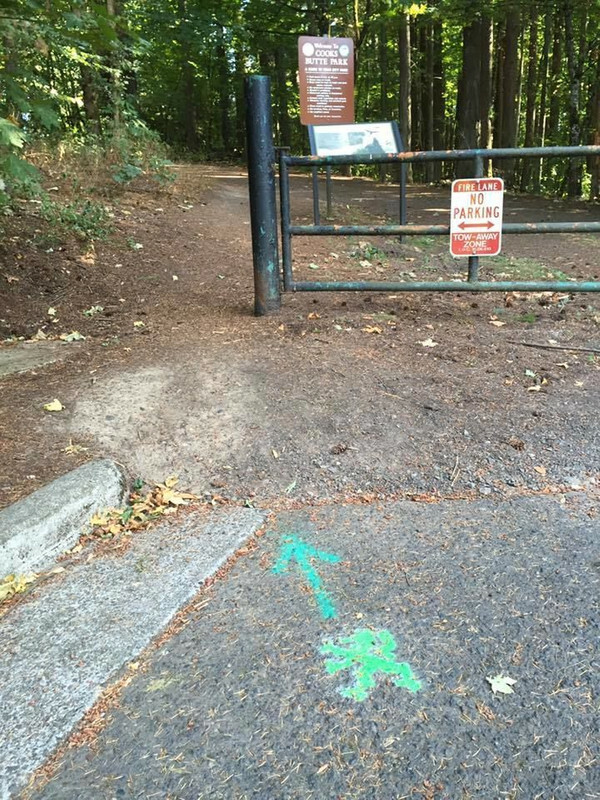 **Wet Earth Plan** - In the event of rain, some of the trails will be slick and not safe. There is an alternate route on the event page that eliminates dirt. In case of wet earth on the day of the group ride, I'll make the call to divert from all or some of the mud. 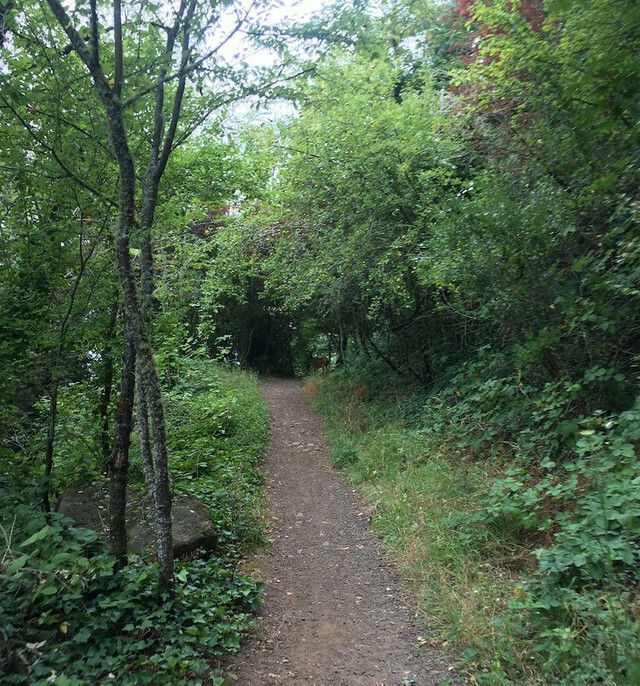 If you're really dirt-phobic even in dry weather, you could choose this alternate route. But you'll be missing some awesomeness. ## Return route options [Easiest Route](http://ridewithgps.com/routes/15191116) - You can literally coast this entire 5 mile route back to the start. 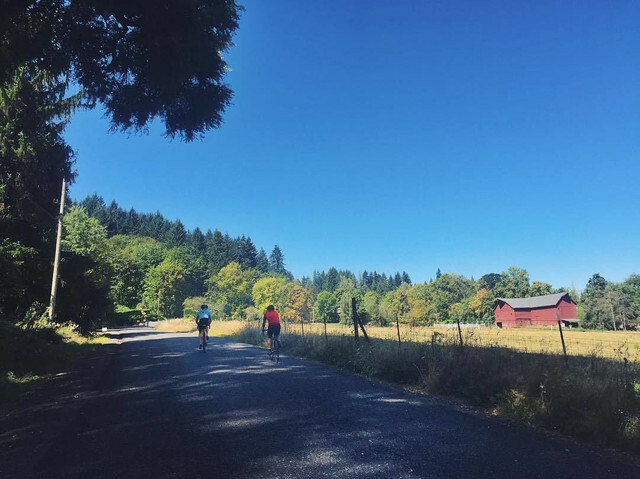 [Bestest Route](https://ridewithgps.com/routes/14397857) - This is a much prettier, quieter more interesting return route on some more roads you may have never been on. 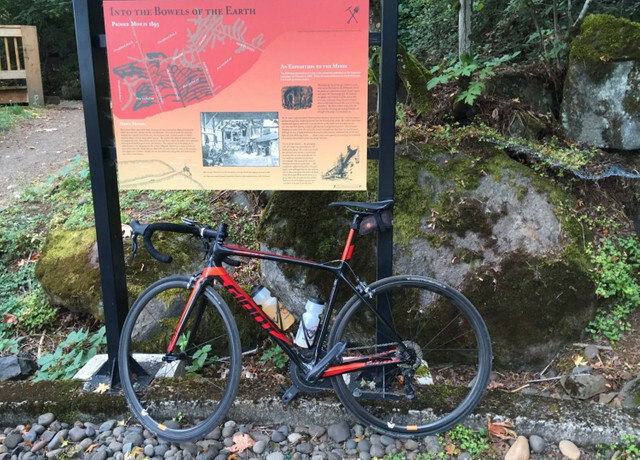 It has a reasonable 300 ft of climbing in 5.8 miles even tired legs can probably handle. Some Guy would love your help bringing this route to a wider audience. The ¡Sauvie Shootout! 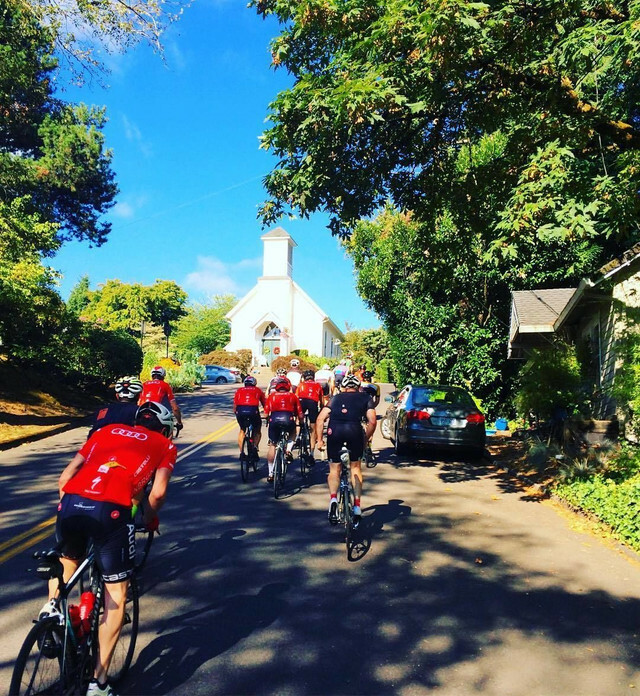 -Portland's group drop ride Departs Every Sunday at 9AM from Ovation Coffee 941 NW Overton. ¡Join Us! This is a 100% open course on public roads, open to cars and automobile traffic. Riders agree to RIDE AT THEIR OWN RISK. You and ONLY you will be responsible for navigating hazards as they relate to traffic, roads, general safety and weather conditions. Riders are absolutely under their own responsibility to ride, navigate and conduct themselves safely and appropriate to conditions as they exist in the field. This is not a race or an organized event. On the contrary, we are and have always been just a nice group of friends out for a fast fun bike ride.